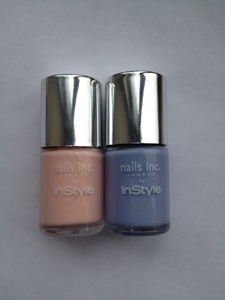 These Nails Inc polishes have been doing the Blogger rounds recently. They come free with this months Instyle magazine. They are a full size polish which normally retails at around £11 but the magazine is only £3.80 so I bought 2 magazines to get two polishes. 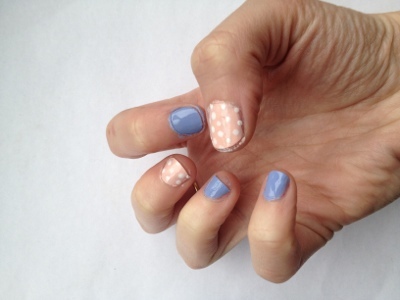 These are called Bluebell & Peach Sorbet, there is a more pinky one available too but I have lots of polishes in similar shades. 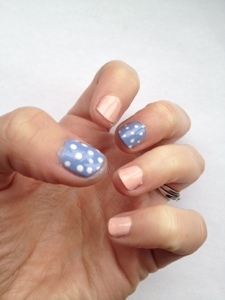 What do you think to my Pastel Pilka Dot nails? I think they are very summery!